I spend a lot of time listening to headphones. Usually I use my iPhone as the audio source, but I often use my MacBook Pro as well. During a typical workday I have headphones for several hours. I listen to music, including uncompressed, Apple Lossless Encoded files, the Sirius-XM app (mostly news stations or Howard Stern), and sometimes work-related videos or presentations. Most of the time I am not actively listening, but rather drowning out the din of busy worker bees surrounding my office, but when I do actively listen, for example during my lunch break, I prefer that my music sounds pretty neutral - I'm not a fan of booming base or shrill treble. For years I used in-ear earphones from Shure, but these began to cause me ear problems due to wax buildup. I switched to the AKG K451 (around $100 on Amazon) on-ear headphones due the their small size, portability (they fold up very nicely), three-way iPhone remote and mic (for use on phone calls or with Siri). The sound quality (to me) was very good, even given the comparative lack of isolation provided by on-ear vs. in-ear headsets. Soundwise, the high end rolls off a little early, and the base seems a bit muddy, but overall they sound very good, especially at that price point and for such a convenient form factor. They are also very comfortable to wear. They don't clamp too hard on the head, and the earpieces are very soft and "squishy" so that even resting on my ears for several hours there was never any discomfort. After a year, however, the leather-like covering on the ear cups began to flake away leaving a rough under-surface that was uncomfortable and unpleasant to look at. While tempted to just purchase another pair (the ear cups do not appear to be easily replaceable), I decided to shop around and see if I could find a different pair of headphones, maybe with slightly better build quality (accepting that this means a higher price point), and maybe with a little bit better isolation from the environment. I was not interested in "open backed" headphones - though these almost universally sound better, they leak sound into the environment (inappropriate for my work environment, or, for that matter, at the burrito joint where I daily eat lunch). So I was limited my search to closed-back over-ear (vs. on-ear) headphones in the $200-$300 range. My research indicated that price range is where there is tremendous competition and a corresponding noticeable step-up in quality (both build and audio quality) vs. lower priced headphones. I tried the Sennheiser Momentum (around $250 on Amazon) headphones first. These sounded pretty good - to my (extremely) untrained ear, I liked the sound about as much as the AKG K451's I was replacing. But I found them uncomfortable to wear. The ear cups weren't very compliant and it seemed to squeeze a little too hard. I next tried assorted variations of Beats headphones, and after listening gave them no further thought. I'm not sure why anyone would prefer overpowering bass that completely distorts most types of music (and sounds pretty crummy for things like verbal newscasts, as well). But, as has been widely reported, if you like excessive bass, Beats has you covered. Finally I had an opportunity to try the well-regarded PSB M4U1 (around $300 on Amazon). These sound fantastic to me. 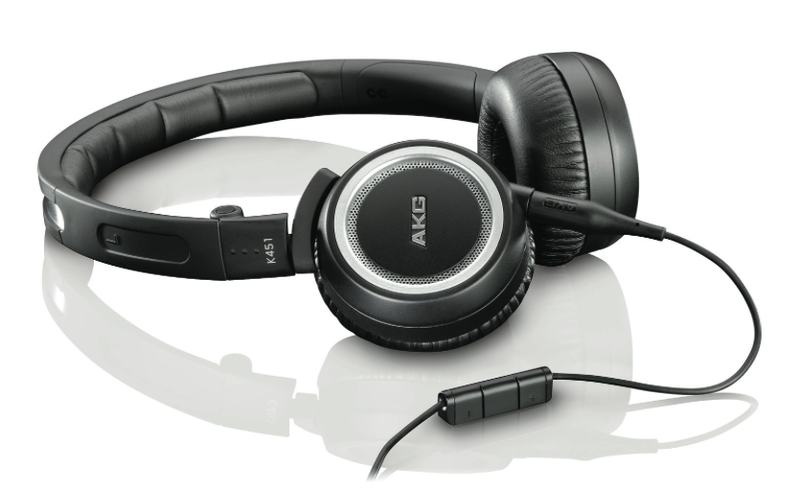 Much clearer bass (but by no means overpowering) and much more detail at the high end than the AKG K451's. I could hear individual instruments and vocals that on the K451's simply blend into the overall sound. The fit felt a little tight, however, and they didn't have a smartphone remote or mic. Then I learned about the NAD HP 50 (around $300 on Amazon in black, red, and white). These were designed by the same guy who did the PSB's, and were reported to have a very similar sonic character. Comfort was supposed to be better, and they include a detachable cable with three-way remote and mic. I tried them and quickly decided that the "word on the street" was correct. If anything, these sound better than the PSB's, with slightly more detail on the high notes. They respond to increased volume without any distortion, and generally sound great. Additionally, the ear cups press firmly but gently so they don't feel like they will fall off, but at the same time they don't cause me any discomfort after extended listening sessions. The fancy NAD HP 50 box. The HP 50's come with a collection of cables and adapters, including a cable with three-way remote and mic, and one without. The HP 50's. The cable can be connected to either earpiece. I have fairly large ears, and the ear cups manage to provide a very good seal while pressing gently just on the bottom of my ear lobes. Like most over-ear headphones, these can warm up your ears to the point where a short break might be needed, though I've only experienced this in very warm weather. The sound seemed to improve after about 24 hours of listening (perhaps to the it-may-or-may-not-exist "burn-in" phenomenon) and I've tested it both with compressed audio like the Sirius-XM app and with uncompressed classic and alternative rock files. So far I continue to be impressed. It sounds noticeably better than my AKG's, even to my very untrained ears. Of course, my hearing has lost some of the high end due to age, so your mileage may vary.